Tropic Island Living Jamaican Black Castor Oil - JBCO!! Joico K Pak Deep Penetrating Conditioner - Hair feels amazing after use, less breakage - simply amazing! Time to set some new hair goals and for me I plan to get to APL (armpit length) by September 2010. What are your hair goals and your best products of 2010? Let us know. In my Christmas stocking this year Santa left a brand new Tangle Teezer, I have only tried it the one time and I thought I would create a diary of my time using this new implement. 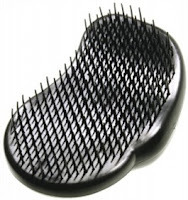 A Professional Hair brush. As I pulled it out of the box it appears to e some sort of shiny horse brush. It purports to be 'A Revolution in hair care' ideal for all types of hair prone to tangles- straight/curly. I have read that it is ideal for afro caribbean hair and wanted to find out for myself. The Tangle Teezer will gently, effortlessly, and without pain, banish tangles and knots from your hair in an instant. The Tangle Teezer delivers rapid detangling results on both wet and dry hair, whilst helping to minimise breakage, splitting and damage caused by mistreatment. Now this was the main reason I wanted a tangle teezer, for the knots I sometimes get when stretching. Used as a finishing tool, Tangle Teezer quickly refreshers sleek looks. Helping to gently smooth the hair's protective cuticle layer, Tangle Teezer noticeably increases shine, for a professional salon finish. 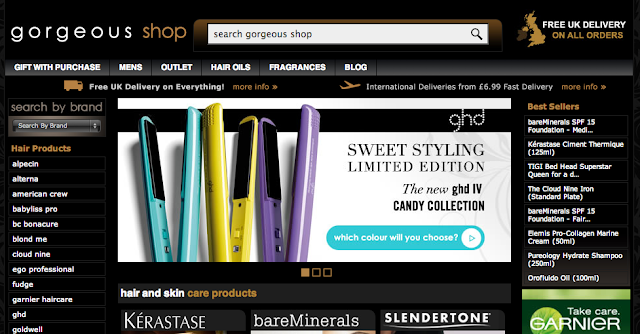 I will have to investigate this as my Tangle Teezer diary continues but will keep you posted on this new innovation. 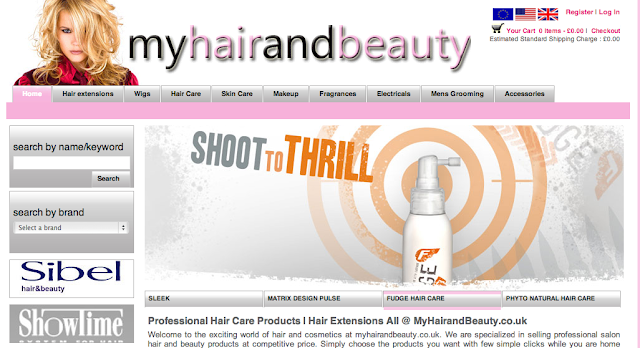 Are you new to the whole looking after your hair thing? I bet you have been bombarded by words and phrases that make no sense or are confusing. AfroDeity UK is here to make sense of the madness with a few defintions. How to Pre-Poo is a good start to starting your prepoo regime, but no one know better than you what works for hair, so try a few different things and let us know what helps you! I currently use castor oil and organix coconut conditioner mixture as my pre-poo and the results are amazing - less breakage and it feels like silk. Prepooing helps keep moisture in. Cowashing - Co washing is cleansing the hair with a conditioner rather and a shampoo. Excellent if you have an active lifestyle. Going to the gym and shampooing everyday is a definite No, No. This cleanses the hair enough and is great whilst streching your relaxer. I co wash twice a week after I am more than 6 weeks post and shampoo once a week usually on the weekend so that I can deep condition. 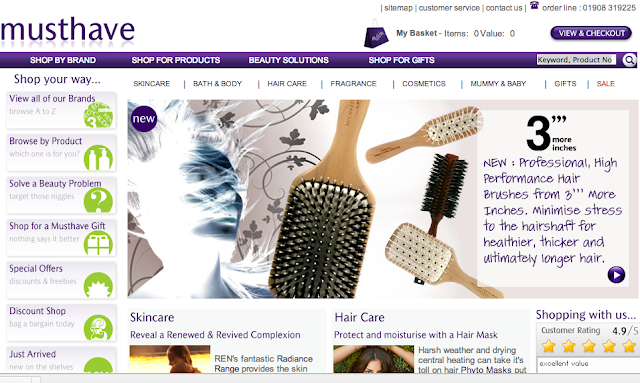 Deep conditioning – Especially if you have chemically relaxed dry, brittle, damaged hair. I usually deep condition by dividing my hair into sections applying my conditioner (protein/moisture based and cover with a plastic cap. I leave this on for an hour without heat. Most people I know sit under a dryer for 15-30 mins but I prefer to stay away from heat. It's good to deep condition at least once a week. Sealing – usually with a carrier oil ie. Coconut Oil, Castor Oil, Extra Virgin Olive Oil. The oil lock moisture into your hair for longer. Stretching – leaving more time between relaxers. A Pill to Straighten Your Hair? "Australian researchers at the Queensland Institute of Medical Research have discovered a "curly hair gene," which could lead to new hair treatments that don't involve using damaging hot irons". Would you take a pill if it meant no more relaxers or hair straighteners? Seems a bit extreme to me, but so does putting dangerous chemicals on your scalp. How far will we go for beauty. I 'm up for a little bit of vanity but genetic manipulation. No Thanks ! Let us know your thoughts, Facebook or Twitter. For those of you just starting out on your hair care journey will have found multiple references to both essential and carrier oils. These have varying benefits eg. keeping your hair moisturised and more manageable. 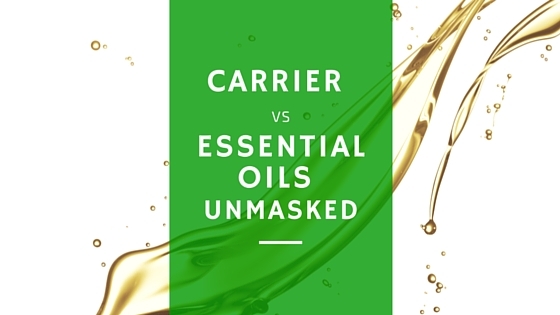 Grease from petroleum based products is not the same as an essential or carrier oil. Products with petrolatum, or petroleum do not moisturise your hair. They coat your hair preventing moisture from getting in. These are oils that can be used directly on the hair/scalp. Carrier oils are also great for sealing in moisture after you have used a leave in moisturising conditioner. I usually apply my daily moisturiser then seal that moisture in with a carrier oil. Sweet Almond Oil - I have heard that this oil is good for dry and dull hair. Contains vitamins A, B1, B2, B6 and E, and essential fatty acids. Olive oil - Olive oil conditions the hair and scalp providing softness, it is also easily absorbed by the hair. I usually get extra virgin oil from Tesco (no salt) and use as an effective pre-poo. Castor oil - Castor oil helps to seal in moisture.It is a humectant i.e. attracts moisture to the hair. It also makes hair softer, promotes growth at the scalp and causes hair to become thicker with regular use. You already know that I am partial to the castor oil of the 'Jamaican Black' (JBCO) variety and I cannot recommend this enough. Coconut oil - Oh the heavenly smell. This oil is another moisture sealer leaving hair feeling soft. Vitamin E Oil - Vitamin E oil is great for rejuvenating dull, dry, and damaged hair when used regularly. 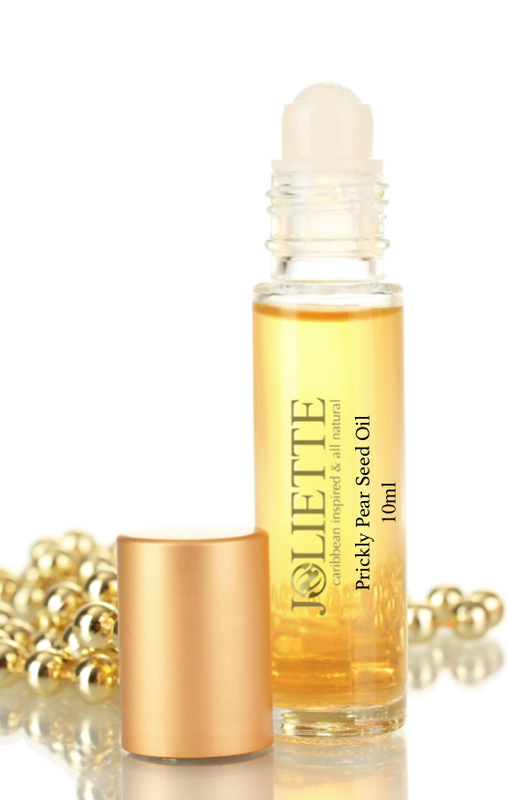 Jojoba Oil - Another of my favourite sealers. Due to the tight coil pattern of our type of hair we produce very little sebum (the scalps natural oil) resulting in the dryness and breakage which is very common. It is easily absorbed by the hair and scalp and provides excellent lubrication and smoothing. Cedarwood Oil - This is an astringent, antiseptic, balances production of sebum, and stimulates the scalp. Chamomile Oil - Chamomile adds sheen and conditions the hair. Eucalyptus Oil - removes dandruff and has antiseptic properties. Grapefruit Oil - is good for stimulating hair growth. Tea Tree Oil - is used to treat dandruff and kill lice. 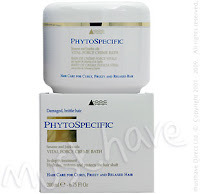 It balances production of sebum and stimulates the scalp. Ylang-Ylang Oil - balances production of sebum and stimulates the scalp. With Sunny Isle, Shea Moisture and Tropic Isle Jamaican Black Castor Oil. AfroDeity was the very first supplier of Fountain and Sunny Isle Jamaica Black Castor Oil in the UK. Always committed to providing you with only the best Caribbean Products. Keep your eyes peeled for shops in your area that stock this product and let us know so we can ad to our 'Where To Buy' list! On February 9th , 2010 Amazon are making Chris Rock's Good Hair DVD available for all (in the US) to enjoy. If you are in the US (or have a friend there) you can pre - order this DVD now from Leilu's Amazon US. For those of you in the UK who really want to get hold of this, as we have not seen an official DVD release date, if you have an Amazon.com account you can order this from the US, unfortunately the shipping is a bit more expensive and the DVD will be region 1, so unless you have a multi region DVD player, this option may not be feasible. I am still waiting to see if Amazon.co.uk and Amazon.ca will be releasing this title for us to buy. Hopefully by February we will have a theatrical release date for us here in Europe. NOTE: If you re in the UK and plan to purchase this from the US please read all the small print and be sure you do not need to pay any customs charges etc. and have a multi- region DVD player before attempting to order this. 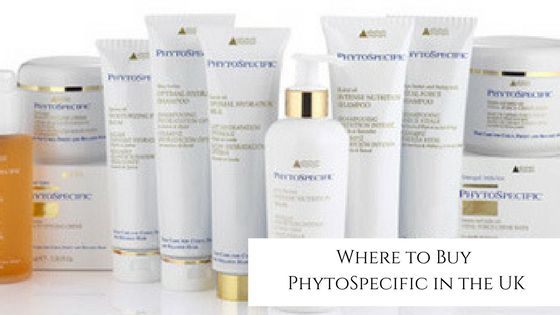 "PhytoSpecific fuses innovation and technology with the purest botanical ingredients such as Quinoa and sunflower oils, Hibiscus flowers and Barley Milk Llipe butters. Each ingredient is specifically chosento nourish and treat the hair and scalp, safely and effectively. This premium line of botanical hair care products caters specifically for Naturally Curly, Frizzy and Relaxed hair types." The original online British beauty boutique. The ultimate Mecca for hair, beauty and all things gorgeous, lookfantastic.com offers over 14,000 products from more than 400 brands across hair, make up, skin care, nails, electrical, fragrance, health , home and organic. Become a fan on Facebook/Twitter. Become a friend, upload pictures, share your thoughts aspirations, goals, ask questions or just meet others like you. and a AfroDeity Castor Oil Challenge Group on Facebook which you are welcome to join! Just at shoulder length, hopefully will be fully past shoulder length by March 2010. Twelve weeks and 3 days since my last relaxer I finally got around to relaxing my hair today. Unfortunately I forgot to Protect/ Moisturise my hair by having a wash day on Wednesday as my regime stipulates. I then divided my hair into six sections, prepared the hair by putting coconut oil on the hairline and any part of the scalp that was itchy. and put JBCO on the ends to protect them from overprocessing. Relaxed the hair with Organic Root Stimulator Olive Oil Relaxer using a timer. My first set back, i just had to cut six massive knots out of my hair. I am usually so careful to gently detangle my hair in the shower and stupidly forgot. Just got back from seeing 'New Moon' at the cinema and put my hand through my hair, OMG all I got was a handful of knots. Nooo!! I am so angry with myself, I was really trying so hard. URGG! NeeWay! I hope I didn't cut too much out, I just started my count down to self relaxing by doing a Clarifying shampoo on Sunday and I plan to protect on Tuesday/Wednesday. Hopefully after the relaxer it wont tangle so much. So I thought to avoid this I would jump on the Dragon's Den bandwagon and try that Tangle Teaser thing with full review here for you. Now available in four different colours from AfroTherapy @ £9.99 or check out Leilu's Amazon for £9.78. Embrace Your Inner AfroDeity. I will be !